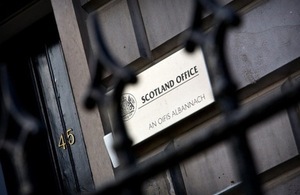 The meeting was chaired by Scottish Secretary David Mundell. Secretary of State for Work and Pensions Stephen Crabb also attended for the UK Government. The group discussed the ongoing terms of reference for the group, with a focus on building a constructive future dialogue on the implementation of the welfare and employment powers in the Scotland Act 2016. On the transfer of welfare powers, Ministers agreed to work closely together to ensure a smooth transition to new arrangements. We had a very productive meeting which focussed on the importance of working together to ensure the safe transfer of these important powers, with those who stand to benefit at the forefront of discussions. We are pleased to be able to agree that work can progress to quickly commence a number of powers in the Scotland Act and to continue discussing the commencement of the remaining welfare sections in the Act. To promote the exchange of information required for the transfer of powers between relevant Government Departments. To ensure a smooth transition of the new responsibilities to the Scottish Government and that they are delivered in a way that is coherent from the perspective of those who seek to benefit from them. To discuss policy and operational practice in areas where responsibility is due to transfer, all in the context of respecting the principle of “no pre-emptive action. To allow for open discussions that seek to provide a resolution of contentious and challenging issues. Draft secondary legislation, regulations or agency agreements. Scotland Act 2016 commencement and implementation. Joint transition to devolved and reserved employment programmes. Consider respective policy directions and operational implications for disability related benefits. Exchange and access to information and resources.